It’s a truth generally acknowledged, that any fruit is improved with chili, salt and lime juice. Whether you’re eating green mango and cucumber in Thailand, or papaya and pineapple in Los Angeles, that trinity of seasonings brings out sweetness and flavour from the fruit. 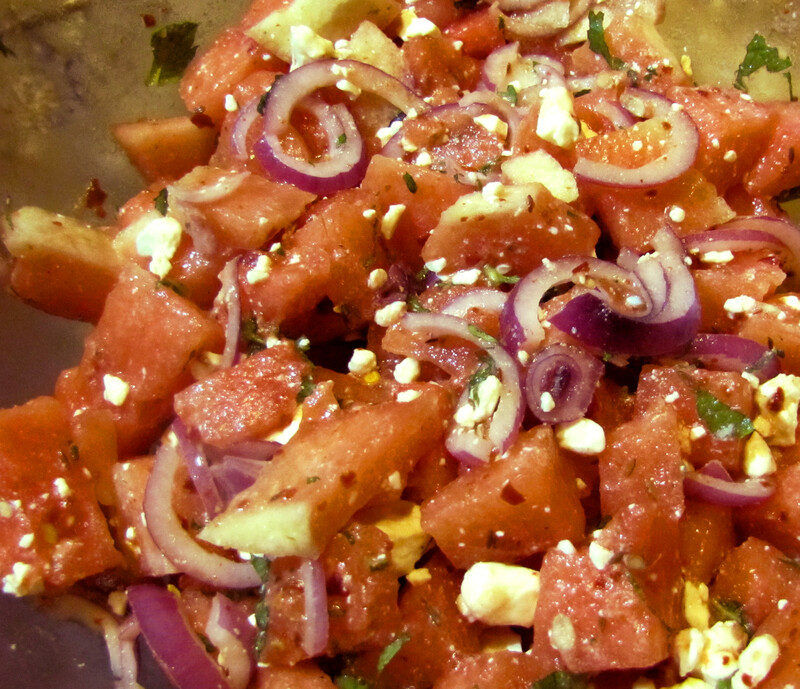 This salad is a hybrid of that ubiquitous summer street vendor fruit, with Egyptian watermelon and feta salad, and made a bit heartier with a few North African favours. It’s pretty much a recipe without a recipe, so tweak it as you see fit, on a hot summer day when you don’t feel like cooking. 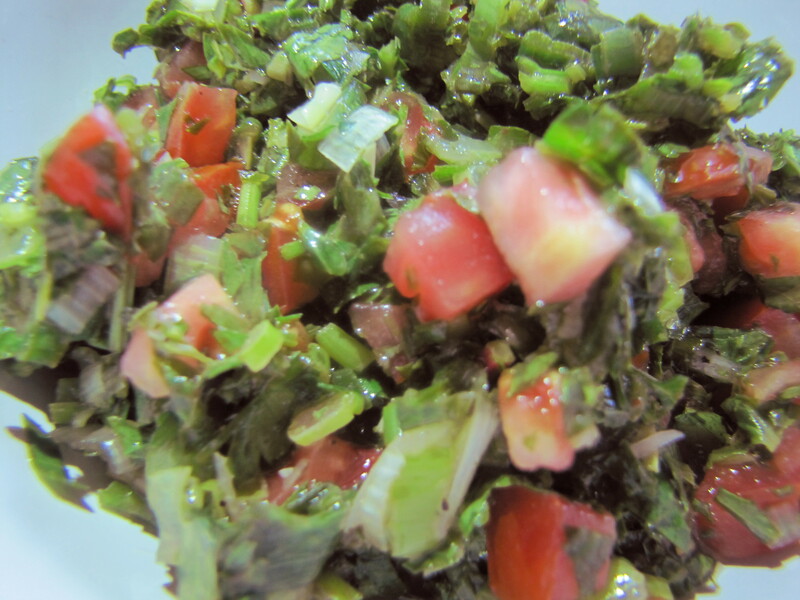 Tabouli (or tabbouleh) is one of the quickest, most versatile salads you can make, and is based on a few simple ingredients. It’s a visceral pleasure to prepare, because your fingers and hands will end up covered in fragrant parsley, mint, lemon and olive oil before you’re done. The process of chopping, mixing, and smelling (and tasting) is almost more satisying the serving the final salad. It can be served as a bright summer salad on its own, or as an accompaniment to grilled meat and kebab, almost like chimichurri. It can be made with couscous or bulgur; grain free; or you can substitute in quinoa, or even white beans or lentils. Just make sure to use plenty of mint, lemon, and olive oil. 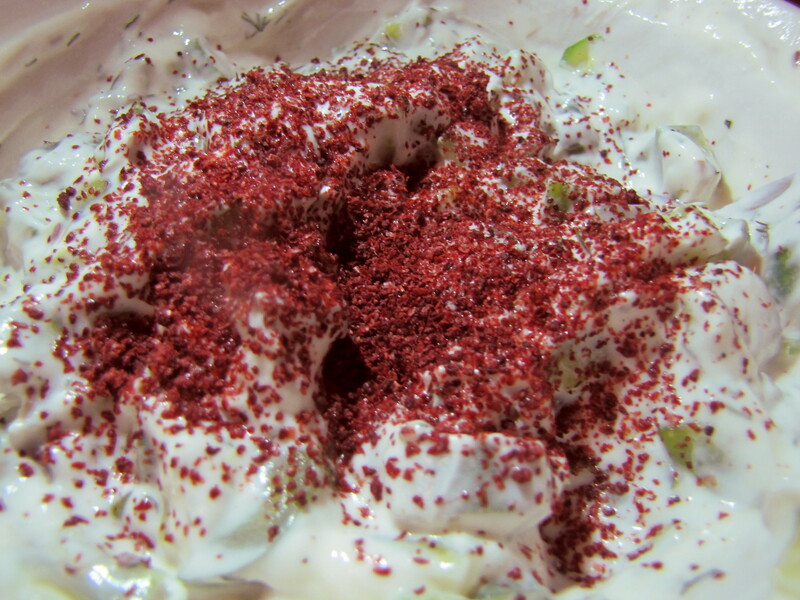 This is one of my trifecta of dips for a Middle Eastern spread, along with lemon-cumin carrot salad, and beet-yogurt salad. It also works well with Indian food (though it’s chunkier and thicker than a traditional raita); or even Balkan and Russian food—I usually serve broth-boiled cabbage rolls or borek with this sauce, for instance. It was a staple of summer in Australia for me, on recovery day after a night of partying, with a light Lebanese-style selection of nibblies. This is one of my favourite all-time dishes. It’s sweet, and rich, and almost sparkles on the tongue. Despite its simplicity, it tastes complex, and is more than the sum of its ingredients. Usually people ask me if it has honey in it—there is alchemy between the carrot and the lemon. 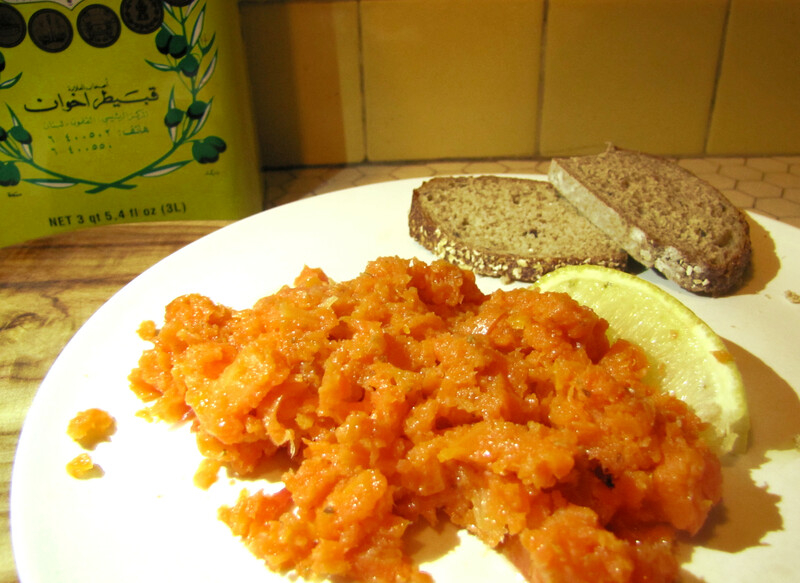 Lemon-cumin carrot salad is nominally Turkish, but it works well in pretty much any Mediterranean meal, or tapas style or buffet spread. It’s not really a salad, but one of those things we don’t really have a word for in English, somewhere between a dip, and a salad.